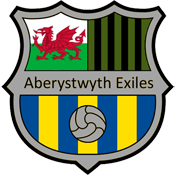 Exiles storm to 5th in the league with a convincing victory over Roath Raiders. Starting with a goal from kickoff from Roan, followed by stand-in manager Aled Evans with a brace. Strong team performance with special mentions to Evans, Lee Phillips, Ben Jones and a clean sheet for a returning Matthew Rowley.